1.Engage in all kinds of tungsten carbide jewelry, including rings and bracelets. 2.Offer hottest and most fashion jewelry for you. 3.Quality products, one-by-one quality control and individual package. Made of high hardness tungsten, 100% scratch resistant and durable. Classic and trendy design and smooth inner surface, comfortable to wear as a daily jewelry. Stylish dome design, perfect as a wedding engagement band for men and women. Width 8mm, perfect choice for man of all ages. Hardest of all metals, there is not one metal that could beat the superiority of tungsten. If you have any problems about our products, feel free to contact us, friendly and easy-to-reach customer service is ready for you. 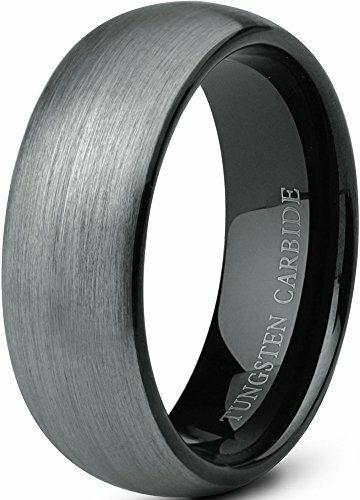 Weighty Tungsten Carbide, Durable and Scratch Resistant. If you have any questions about this product by Tungary, contact us by completing and submitting the form below. If you are looking for a specif part number, please include it with your message.